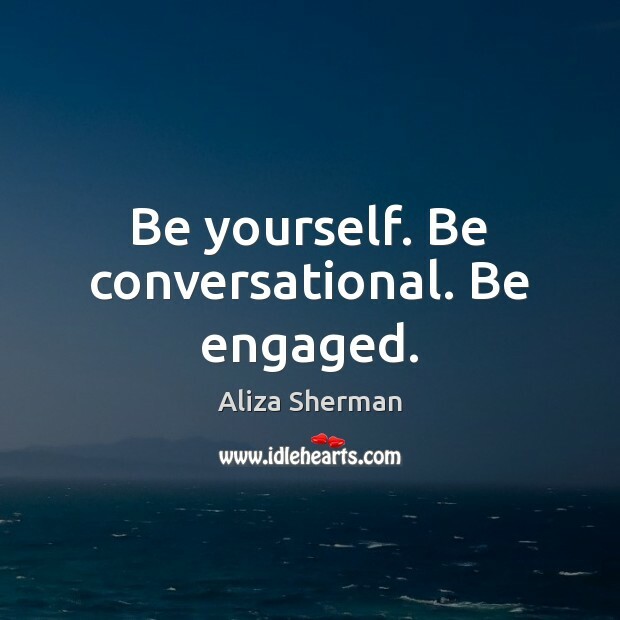 Enjoy the best inspirational, motivational, positive, funny and famous quotes by Aliza Sherman. Use words and picture quotations to push forward and inspire you keep going in life! Be yourself. Be conversational. Be engaged. 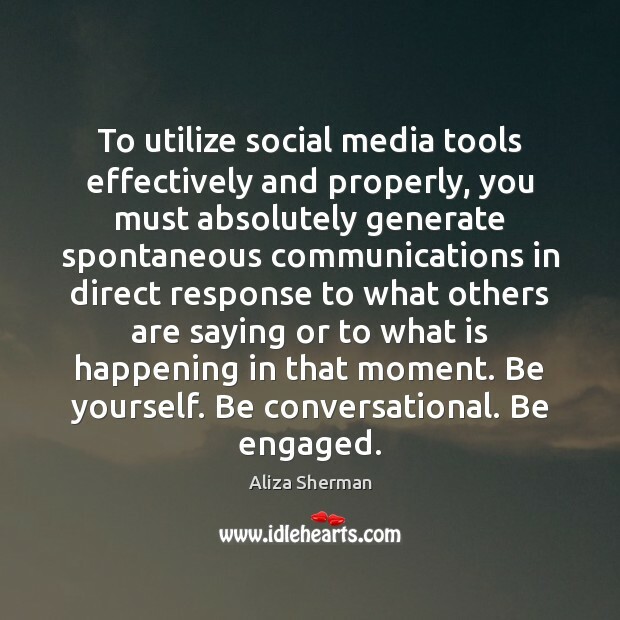 To utilize social media tools effectively and properly, you must absolutely generate spontaneous communications in direct response to what others are saying or to what is happening in that moment. Be yourself. Be conversational. Be engaged.